The Diploma of Acupuncture and Oriental Medicine is a 4-year (8-semester) program that deeply explores theoretical and clinical concepts of Acupuncture and Oriental Medicine. Acupuncture and Oriental Medicine involves disciplines such as acupuncture, herbal medicine, Chinese massage, diet therapy and therapeutic exercises. Students learn foundational philosophies, diagnostic principles and therapeutic techniques of this ancient and powerful system of medicine, and incorporate them with biomedical sciences and other healing philosophies. This program satisfies curriculum requirements of the CTCMA of BC. Below is a list of all courses that must be completed for a student to be eligible for graduation with a Diploma of Acupuncture and Oriental Medicine. Some course prerequisites do exist, and it is the responsibility of students to ensure that they are eligible to enrol in any particular course. Please click on course links below to see more course information including descriptions and prerequisites. Students in the Diploma of Acupuncture and Oriental Medicine program can complete all clinical training in PRC’s on-campus Student Clinic, or can participate in our Global Outreach Program, Clinical Externship Program, or with our clinical partner in China, Liaoning University of TCM. Full-time students generally begin clinical training via observation during the very first week of studies. Graduates of the Diploma of Acupuncture and Oriental Medicine program who have met the requirements of the College of Traditional Chinese Medicine Practitioners and Acupuncturists (CTCMA) of BC, which includes 60 university credits of liberal arts or sciences, will be eligible to sit for the Canadian national registration exam to become Registered Traditional Chinese Medicine Practitioner (R.TCMP) in the province of British Columbia. Based on reciprocity agreements, this distinction permits registrants to practice Traditional Chinese Medicine across Canada. Past graduates who have completed required electives in appropriate disciplines have also met the professional standards set by the Accreditation Commission for Acupuncture and Oriental Medicine (ACAOM) in the United States. This has permitted them to sit for the National Certification Commission for Acupuncture and Oriental Medicine (NCCAOM) examinations and thus be licensed in the majority of US states. PRC graduates aiming for licensure in the United States must have their credentials evaluated by ACCRAO. Practitioner licensing requirements vary based on region of governance. The Diploma of Acupuncture and Oriental Medicine program is approved by the CTCMA of BC and meets the education requirements of many other provinces, states and countries. It is students’ responsibility to ensure they meet eligibility criteria in their chosen region. I have been thoroughly impressed by Pacific Rim College. Pacific Rim holds high professional standards while maintaining an atmosphere of well-being and community. The environment supports students and challenges them to grow into skillful practitioners. I would recommend PRC to anyone who is seeking a place that has deep knowledge and embodied understanding in the field of health and healing. To apply for admission into the Diploma of Acupuncture and Oriental Medicine program, please click on the link below. Applicants are encouraged to apply apply no less than 6 weeks prior to the start date of the semester. Applications will still be accepted beyond this point, and will be evaluated, but enrolment space may not be available until the next semester. Upon favourable review of your application by our admissions committee, you may be contacted for an interview, which may be carried out via telephone if a person-to-person interview is not possible. Students who have earned credits in another recognized Acupuncture and Oriental Medicine (AOM) program in North America (schools from other countries will be evaluated on case-by-case basis) can apply for transfer into the School of Acupuncture and Oriental Medicine. Acupuncture and Oriental Medicine transfer students need to complete the equivalent of one year of coursework (46 credits) at PRC to be eligible to receive a diploma, and all eligible AOM college credits will be transferred for a total transfer fee of $150 for each AOM college attended. Students do not need to submit a Prior Learning Assessment for previous eligible AOM college education but will instead have credits evaluated automatically upon confirmation of acceptance into the School of Acupuncture and Oriental Medicine. Contact our Office of Admissions today for more information. Students who have completed a 4-year Acupuncture and Oriental Medicine program can apply for admission directly into our Doctor of Traditional Chinese Medicine program without needing to transfer any credits. Pacific Rim College is an ideal setting for the delivery of the classical teachings of Oriental medicine to the modern student. Please click below for the current and upcoming (when available) course schedules for the Diploma of Acupuncture and Oriental Medicine. Oriental Medicine, also commonly referred to as Traditional Chinese Medicine (TCM), is a comprehensive and ancient medical system developed over many centuries in China and regularly employed there as part of the standard medical system. TCM includes many different therapies, including acupuncture, which is an ancient form of medicine that specifically involves the insertion of extremely thin metallic needles into the body at various points – known as acupuncture points or acupoints – of which there are hundreds. The acupuncture needle metaphorically acts as a key to open up a blockage, which may be physical or energetic (e.g. stress, sadness) in nature. 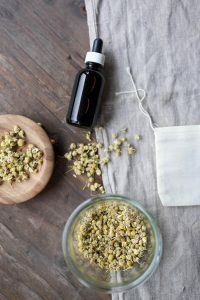 Other therapies also comprise the practice of Traditional Chinese Medicine, and these include herbal medicine, Tui Na (therapeutic massage), cupping and Gua Sha (massage-related therapies using implements), nutrition, Tai Qi Chuan and Qi Gong (movement- and energy-based therapies), and moxibustion (the external application of the herb known as mugwort). 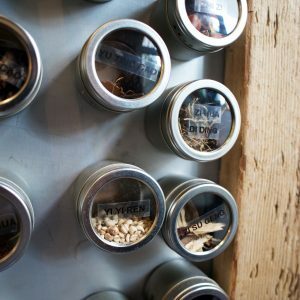 The primary goal in TCM is to release blockages to help the body restore balance and thus health. Why study acupuncture and Oriental Medicine at Pacific Rim College? Do I need to be licensed to practice acupuncture and Oriental Medicine? 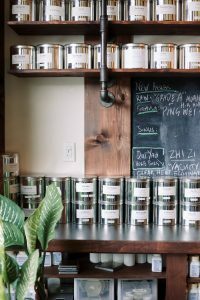 In North America there are a number of different Traditional Chinese Medicine certification standards that vary from state to state and province to province. 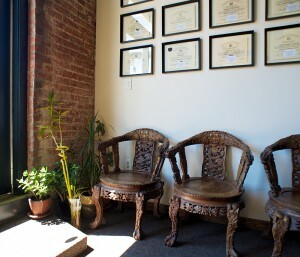 In British Columbia, one must meet the standards of the CTCMA to become a registered acupuncturist and practitioner or doctor of Traditional Chinese Medicine (these credentials are similar to an acupuncture license or Oriental Medicine license in the United States) and thus to legally practice acupuncture and Oriental Medicine throughout Canada. The CTCMA requires candidates to learn acupuncture and Oriental Medicine at a recognized college of acupuncture and Oriental Medicine and to subsequently earn a TCM diploma (an acupuncture degree and a degree in Chinese Medicine are not currently available in Canada). What is the difference in an acupuncture and Oriental Medicine diploma and an acupuncture and Oriental Medicine degree?